When a loved one passes, families are faced with many tasks and challenges that they have not tackled before. Placing the ashes of their loved one into a cremation urn is one of those challenges and many families have no idea how to approach the task, physically or emotionally. We’ve created a step by step guide that is east to follow to help families in this situation. Create your work space. Choose a flat surface, preferably indoors that is void of any air disturbance - wind, blowing fans, etc. The surface doesn’t need to be large but should be big enough to accommodate the ashes and the urn and any necessary tools needed. Place the urn, the ashes and additional tools on the table, ascertaining that you have ample room to move things around if need be. 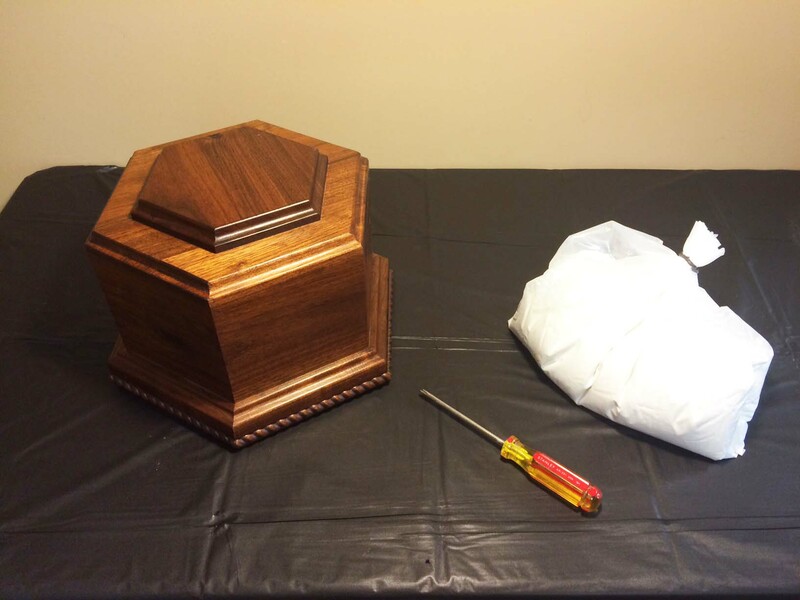 Additional tools may include a screwdriver, adhesive and, in some instances, room for more than one urn if filling keepsake urns, scattering urns or dividing up the ashes between multiple urns. 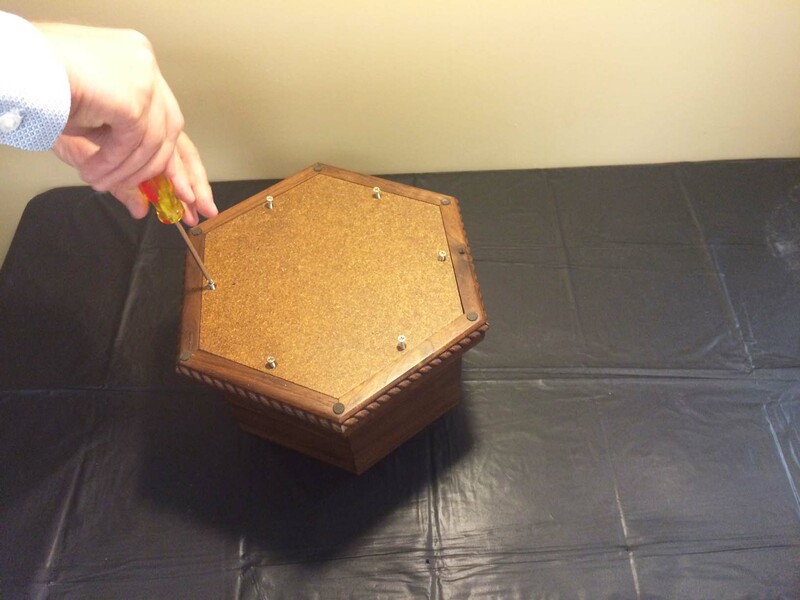 Undo the screws that attach the plate to the opening of the urn. The urn may be top opening or bottom opening, as shown here. Two of the screws may need to be partially screwed into the plate if, such as in the example, the plate is recessed. This enables the screws to be utilized as something to grab hold of and lift the plate from the urn opening as opposed to trying to pry the plate out and risk damaging the urn. Remove the screws and place the screws and the plate over to the side so as not to interfere with the process of adding the ashes and prevent misplacement of any parts needed - such as attaching screws, etc. 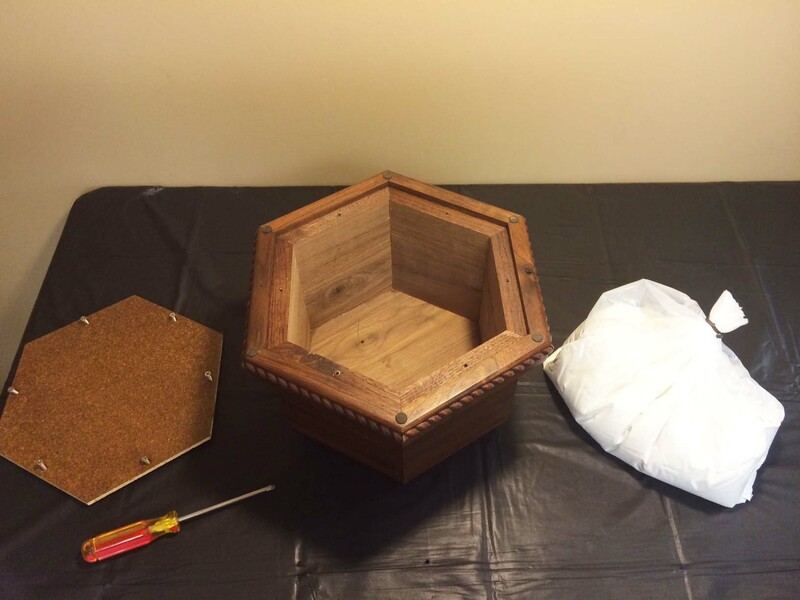 Retrieve the cremated ashes and prepare to add to the urn. 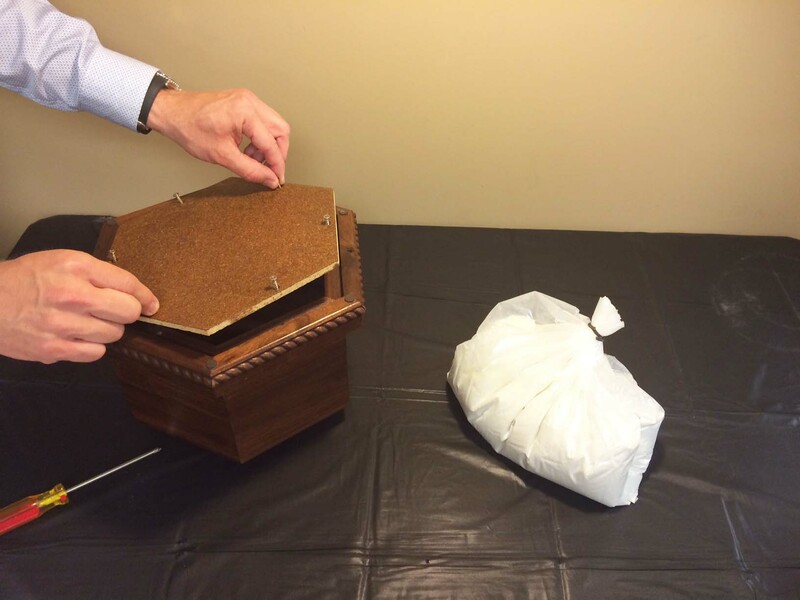 For some, the ashes may be in a temporary box or the ashes may have been placed in plastic bag that closes at the top. Place the bag of ashes into the urn. 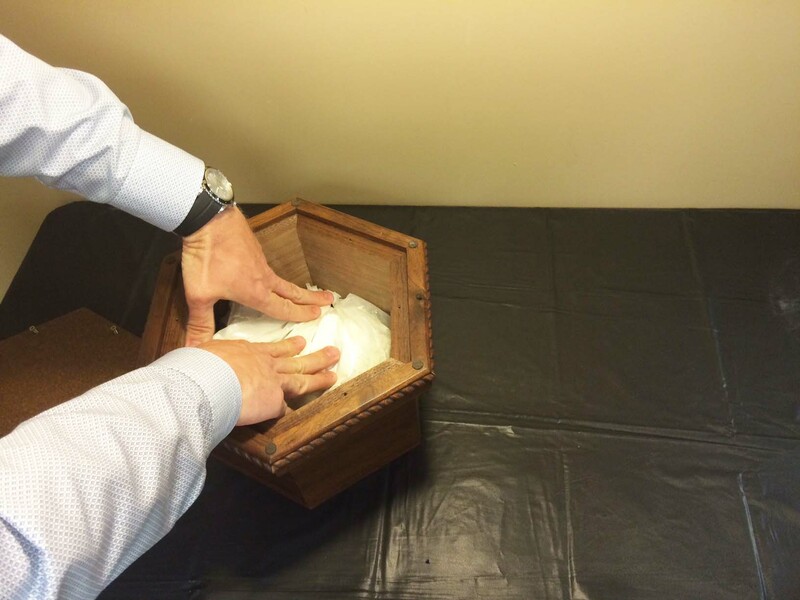 The ashes can be left in the bag and the bag can be placed inside the urn. This is a nice option for families that are not comfortable handling the ashes or removing them from the plastic bag. 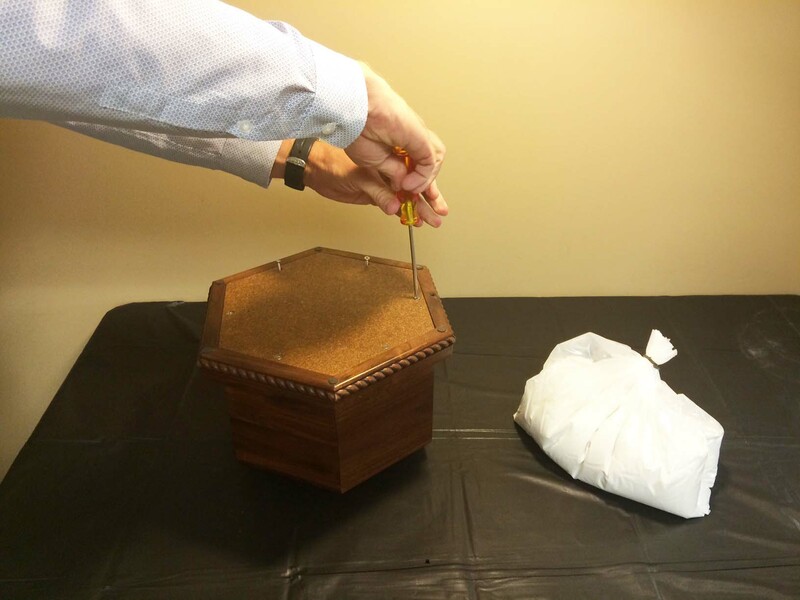 The bag can be placed in the urn and gently pressed upon to spread the bag of ashes evenly inside the urn. Tip: There may be additional space left in the urn after the ashes have been placed inside. If there are additional special items to be placed in the urn such as a picture, a lock of hair, a piece of clothing that holds particular meaning, now would be the time to add. Replace the attaching plate back onto the urn. Adding adhesive to seal the edges is another option and the adhesive can be applied with a fingertip or with a q-tip around the edges of the plate. Tighten the screws securely. 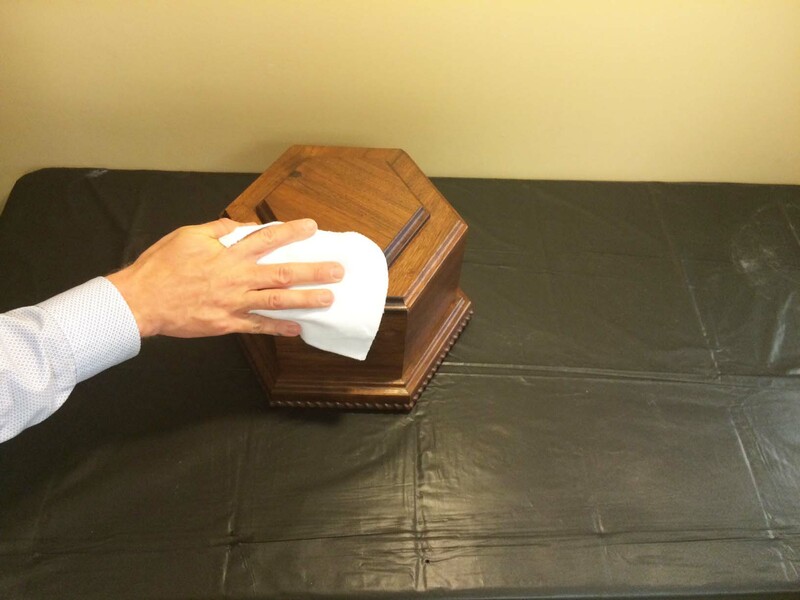 Use a lint free cloth to remove any sealant, if applicable, and to polish the surface of the urn. If adding the ashes to a cremation urn is not something that a family is emotionally prepared to do, it’s okay. Most funeral homes or crematoriums will add the ashes into the urn as a courtesy to the family. 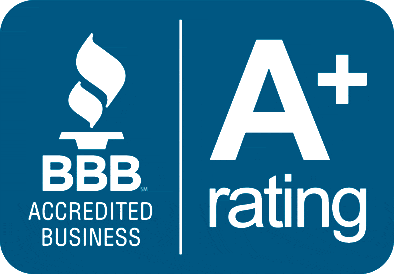 Additionally, don’t be afraid to ask for assistance from other family members or close friends. Families can still be a part of adding the ashes to the cremation urn without physically taking on the task themselves.